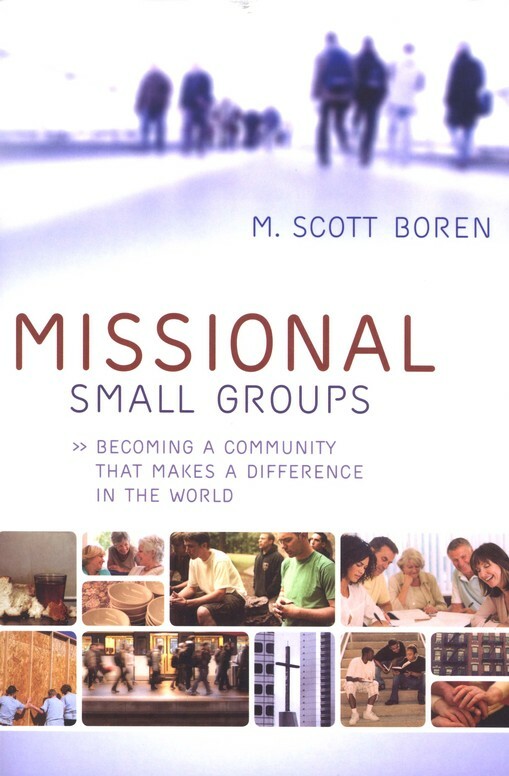 Editor's Note: The following is a report on the practical applications of M. Scott Boren's new book, Missional Small Groups: Becoming a Community that Makes a Difference in the World, (Baker Publishing Group, 2010). Your small group can be a great place for you and other group members to enjoy friendships with each other while studying the Bible to learn more about God. But that's not all it can be. In fact, that's not all God wants it to be. God invites your small group to join Him on a mission to make the world a better place. See community as a means to something greater. Instead of going to small group meetings for the sake of experiencing community, decide to experience community for the sake of participating in God's redemption of His creation. See group members as missionaries. You live in a culture in which you have to be a missionary in your own land, since many people around you aren't yet connected to Jesus. Listen to God calling you to represent Jesus to the people in your area by forming relationships with them and letting them see Him at work through your life. Say "yes" to God's call by being willing to engage with people and impact their lives whenever God presents opportunities for you to do so. Ask God to empower you by making His love flow through your life into the lives of those around you. Encourage your fellow small group members to do the same, remembering that you all play an important part in this vital mission work. Ask key questions. When considering how your small group can best join God in His work in your community, ask: "What gifts does this community possess that might be a blessing to the wider community?" and "What needs are found in the wider community that we might meet?". Then listen with missionary ears. Seek wise counsel from your church's pastor or another church leader. Keep in mind that the mission is about more than simply doing service projects; it's about developing meaningful and lasting relationships with the people around you. Also keep in mind that your goal shouldn't be to convert people to Christianity or recruit them to join your church; instead, it should just be to get to know people and see how you can join what God is doing in their lives. Count the cost and pray for faith. Accept the reality that you'll have to make sacrifices in order to free up time and energy to get involved in mission work together with your small group. Expect that it will sometimes become inconvenient and messy. Ask God to give you the faith you'll need to respond to His calls, even when it's difficult to do so. Then, when you first venture forward, start simply rather than with more than you can handle right away. Commune with God together. Worship God together as a small group. Listen for His voice speaking to you when you encounter Him. Make your relationships with God the top priority in your lives. Encourage each other to pursue simple lifestyles that free up your resources (such as time and money) to use as God leads you to support your shared mission work in the community. Celebrate Communion together often. Spend time enjoying the weekly Sabbath day together when you can. Engage well with others in your small group. Create an atmosphere of emotional safety between you and others in your group by allowing people the freedom to be who they are without fear of being judged or criticized, and by speaking words of forgiveness and healing to each other. Recognize Jesus living in the members of your group. Ask questions about their lives and listen well. Press through conflict by choosing to love each other even when it's difficult and asking God to empower you with the fruit of His Spirit to navigate challenges. Encourage each other as you each grow in faith. Include each other's children in the life of the group however works out best logistically. Whenever a group member gets baptized, participate in the ceremony to show your support for him or her. Engage well with your local community. Live your faith in the midst of other people who don't know or understand why you live the way you do. Give the people who encounter you the opportunity to feel the Gospel's power - not just hear it - by meeting needs among them as God's love flows through you. When you discover places where the violence of sin reigns in the lives, offer them the alternative of God's peace, a life of wholeness and well-being. Offer your neighbors hospitality by inviting them share a meal or coffee with you. Earn their trust gradually by building friendships with them. Then speak the Gospel message to them through natural conversations, as God leads you. Adapted from Missional Small Groups: Becoming a Community that Makes a Difference in the World, copyright 2010 by M. Scott Boren. Published by Baker Books, a division of Baker Publishing Group, Grand Rapids, Mich., www.bakerbooks.com. M. Scott Boren is one of the pastors at Woodland Hills Church in St. Paul, Minnesota. He is a trainer, consultant, the coauthor of Introducing the Missional Church, and the author of The Relational Way: How Do We Get There From Here? He works with Allelon in developing training materials on the missional church. He shares life with his wife Shawna and their four children. He can be reached at www.mscottboren.com.